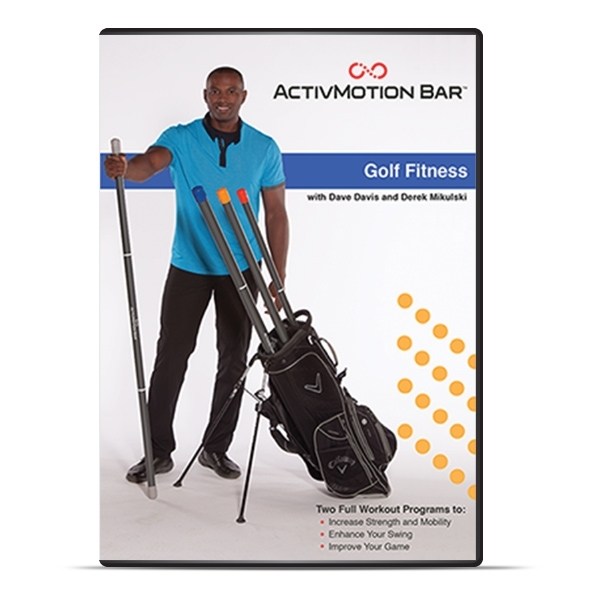 This ActivMotion Bar® DVD includes a 9-minute warmup routine and 24-minute fitness routine ideal for golfers at any level. The content of this DVD is available online with purchase of any ActivMotion Bar. The ActivMotion Bar Golf Fitness DVD program was developed by Titleist Performance Institute certified golf professionals and top fitness professionals. The DVD includes a 9-minute golf specific workout/warmup routine as well as a 24-minute golf foundation builder workout. Also included on the DVD are instructions on how to use the ActivMotion Bar to lengthen and strengthen your core golf muscles.